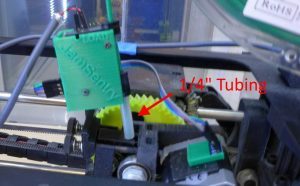 If your machine has a direct drive extruder then it is useful to have a small separation between the JamSentry and the top of the sensor. This allows the filament to line up easily with the hole and you don’t have to worry about the JamSentry getting caught on something. 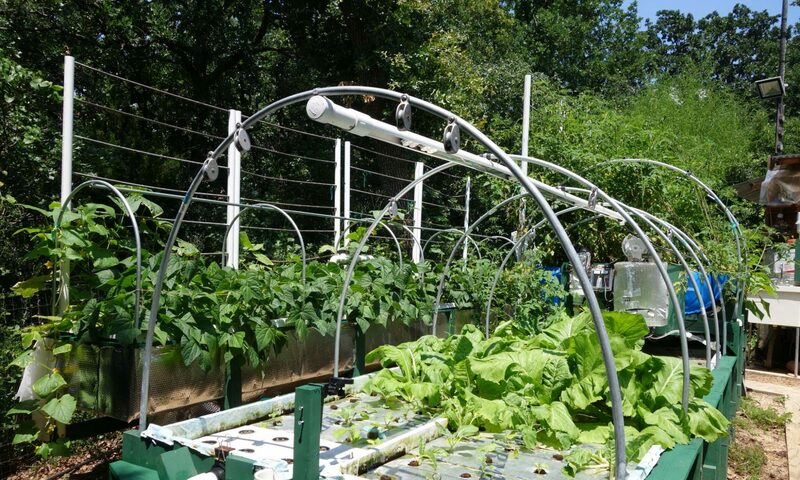 I use a short piece of 1/4″ tubing for this. It inserts into the JamSentry. 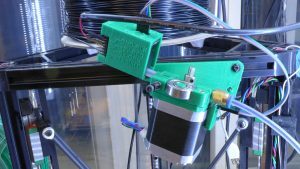 Also with a direct drive extruder, when the filament retracts, it can sometime lift the whole unit. Since the encoder wheel won’t roll until the gap is closed, it can cause false jam indications. I solved this by using a elastic band (a hair tie) to hold it down. The magnetic field varies from place to place on the stepper motor. In general, the fields tend to be stronger near the edges and weakest in the center of a side. Keep in mind that the sensor sits near the middle of the magnetometer board. 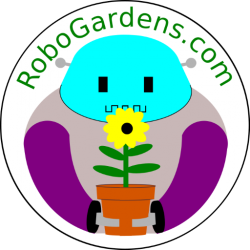 To figure out the best placement, open the website and look at the values it is reporting from the magnetometer (the website refreshes every 5 seconds). Typical values when the motor isn’t extruding should be under 100. When the motor is extruding, values should be >10000. If you aren’t seeing big differences, then move the position of the sensor. Note that what is being reported is how much the magnetic field is changing, not how powerful the field is. The magnetometer should be as close to the motor as possible. This not only makes it easier to pick up the motor magnetic readings, but more importantly, it tends to isolate the magnetometer from competing magnetic fields. 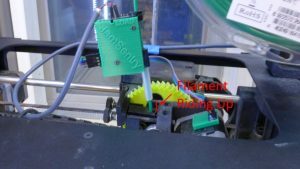 This is important especially in dual extruder systems. JamSentry works well with a Bowden setup. 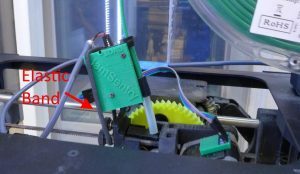 I have included a Extruder mount that is compatible with Jam Sentry. 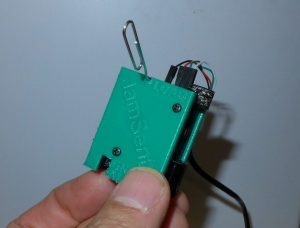 Jam Sentry connects to the extruder mount with a short piece of 1/4″ tubing. If there are new versions of the firmware, you need to reload the JamSentry. To put it in loading mode you will need to use a piece of wire such as a paperclip. There is a hole at the top of the JamSentry labeled LOAD. Push a paperclip down in this hole until you feel a bit of spongy resistance (it will go in quite a way). If you look down from the top, you will see the tip of the paperclip actually depress the GPIO0 microswitch. To put the device in load mode, perform the following sequence. Push the paperclip in the load hole and push it down. At this point if you look down into the JamSentry, you should see the Red LED dimly lit. Follow the steps here to load new firmware.